Digital temperature controller is the controllers which is applicable in medical, home and industrial application. It is available at Hdh Company and you can visit the hdhtech.com site and post your inquiry. It is true that the digital controller is much better than the thermostat suite which has proper accuracy. The digital temperature controller gives the temperature details on display and when the temperature exceeds a particular set point, then the load i.e. the heater stops and switches off. This is how most of the digital controllers are programmed. They can be programmed as per the personal needs of the individuals. The digital sensor is interfaced with the microcontroller and senses the temperature conditions. The system also offers the push button which is used for setting the temperature and adjusts it according to your needs. The microcontroller monitors the temperature and displays it in the display. The digital controller can be programmed so that it switches on and off when the temperature limit exceeds. This is useful for maintaining the temperature. In some of the cases lamp is offered which is usually on and gets switched off when the set temperature reached. 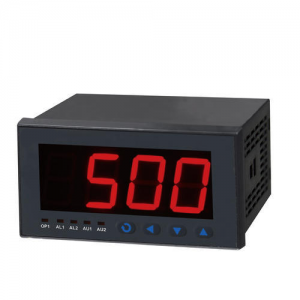 Digital temperature controller is the popular products used in different industry. The controller is used in outdoor uses but in that case some chemical contamination and electrical interference is involved. It is also applicable in the combustion systems, nuclear energy systems, aviation systems, railroad systems. The medical equipments also make use of the digital temperature controller. The controller is used in the amusements machines, safety equipments, vehicles and other placed based in the industry and regulations. The major application is using the controller in machines, systems and equipments which can lead to risk to property and life. Using the controllers in such cases can help in preventing any kind of issues.